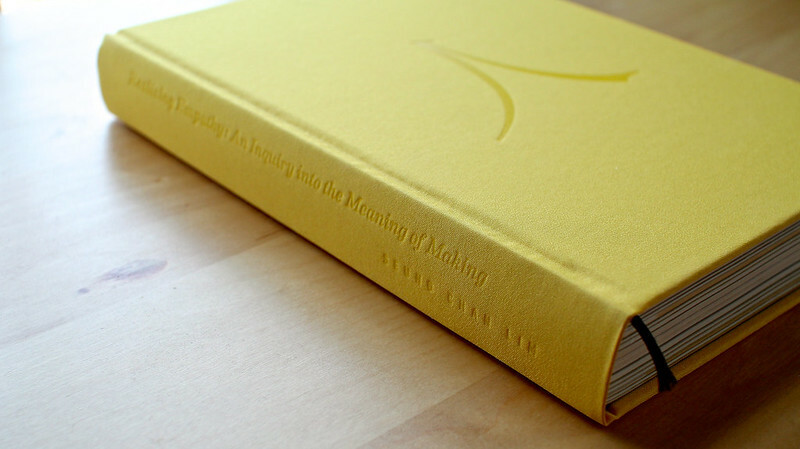 By drawing parallels between making with materials and conversing with people, the book tells the story of how and why realizing empathy is the heart of the creative process. The printing of this limited first edition hard cover was made possible in full by the 364 generous backers on Kickstarter. ‘To make’ is to take on the challenge of engaging an other in an empathic conversation. An other we perceive as being separate from our ‘selves.’ An other we do not know. An other that can just as well be a fellow human being, as it could be a character in a story, a piece of raw material, or even your own body. These are all others we can make with, by realizing our empathy. For Seung Chan, empathy is the key to creativity and it requires both humility and courage. Humility in front of people, but also wood, glass, and metal. He tells the story of why we cannot treat wood like glass or metal like wood, that you need to respect and approach them ready to be awed and taught their secrets. And that the same is true with people. That instead of making assumptions about people or approaching them with the preconceived idea that you may help them, that we should approach if we love them enough to listen and learn from them. Dr. Ernesto Sirolli / CEO & Founder of Sirolli Institute / TEDx speaker of Want to Help Someone? Shut Up and Listen! Do you think that art is self-indulgent and has no function? Or that craft is outdated? That's what the author thought. Especially so as a designer, given that most have been distancing themselves from artists and craftsmen since the industrial revolution. But after spending 4 years embodying the very disciplines of craft as well as the visual and performing arts, the author came to the realization that he had completely misunderstood the two disciplines. 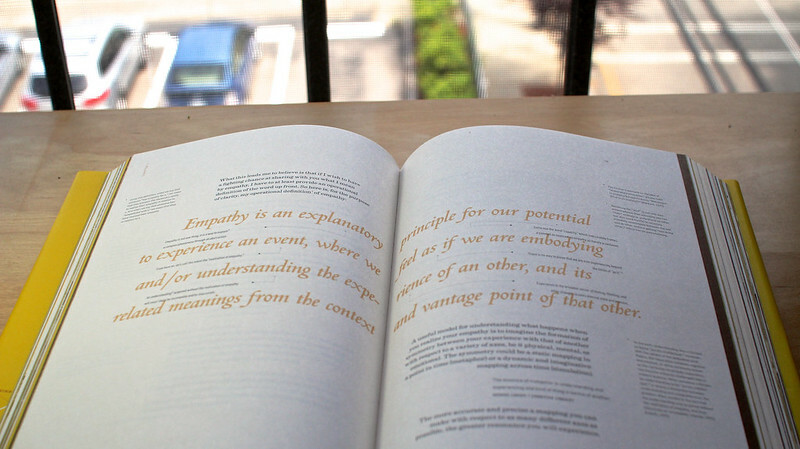 Through this exploration, the author also blends together his experiences in computer science and human-centered design to investigate both the ethics of our relationship to computer technology as well as the necessary and sufficient conditions required for facilitating empathic conversations in our human-to-human as well as human-to-machine interactions. The dust jacket of the book, which was designed as a poster, can be downloaded as pdf. The press release for the book can be downloaded as pdf.